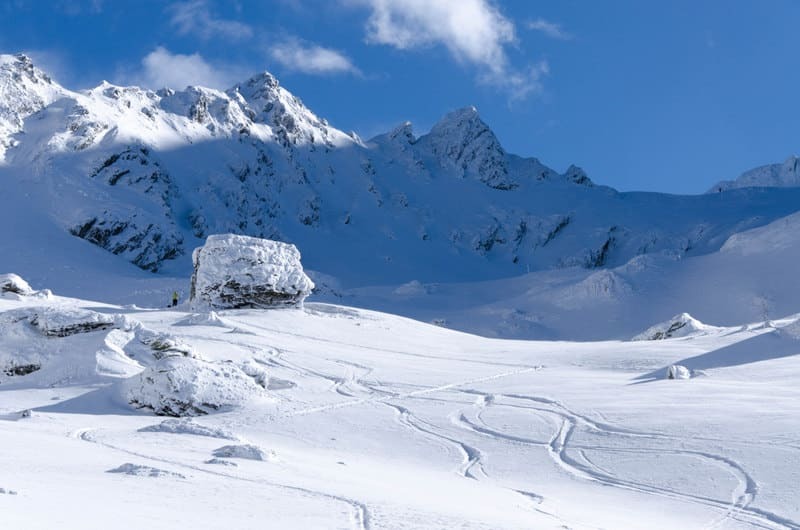 Discover a spectacular skiing destination around the Balea Lake, in the remote Fagaras Mountains in Romania. 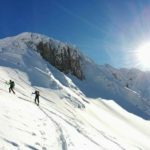 A 3-day ski touring trip along with aspirant IFMGA mountain guide Mihnea. 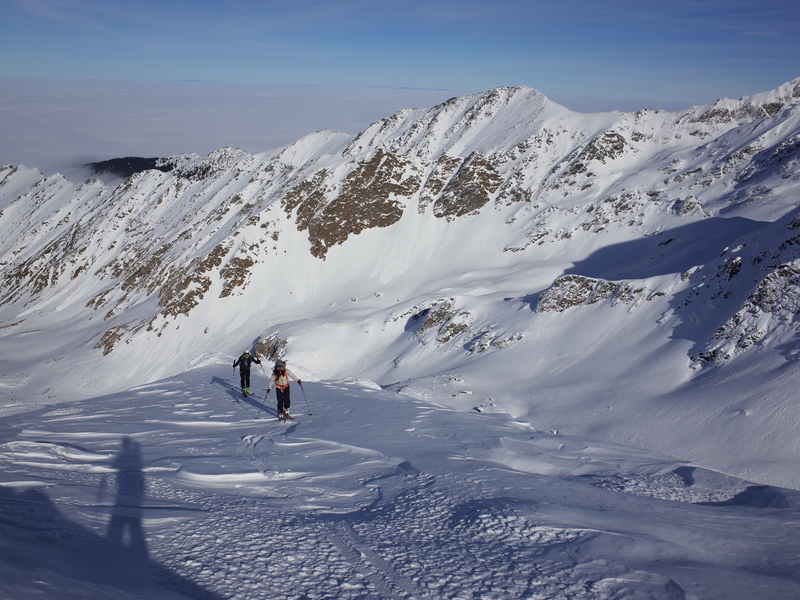 Join me for an unforgettable 3-day ski touring trip and discover the untouched deep snow around the Balea Lake, in the remote Fagaras Mountains. 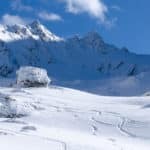 If you are looking for an off-the beaten-path skiing destination, I will take you to explore this amazing hidden spot in Romania! The Fagaras Mountains are the highest massif in the Romanian Carpathians mountain range. 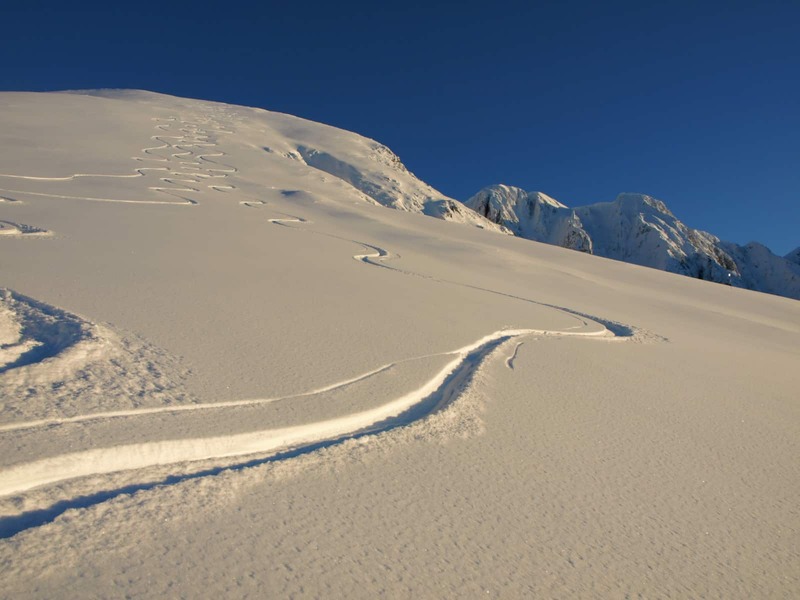 During the winter season, this spectacular alpine environment offers many possibilities for ski touring and freeriding, both for intermediate and experienced skiers. 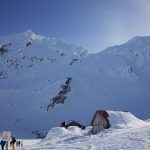 The small mountain resort by the Balea Lake is the main point to access these mountains and enjoy great descents on fresh untracked powder. The Balea Lake (2034 m) is a glacier lake in central Romania, in Sibiu County. 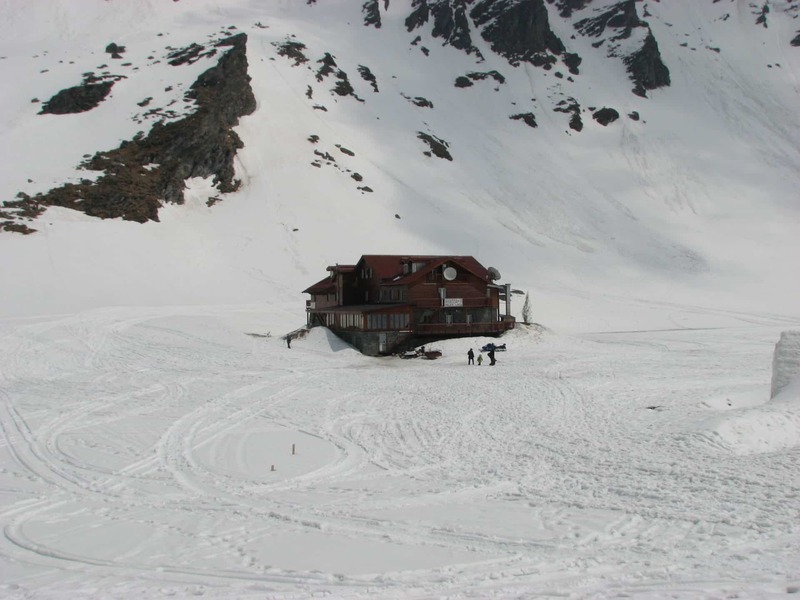 In winter, the mountains can be accessed only by cable car from the Balea Cascada chalet. In summer it is also accessible by car on the Transfagarasan road. 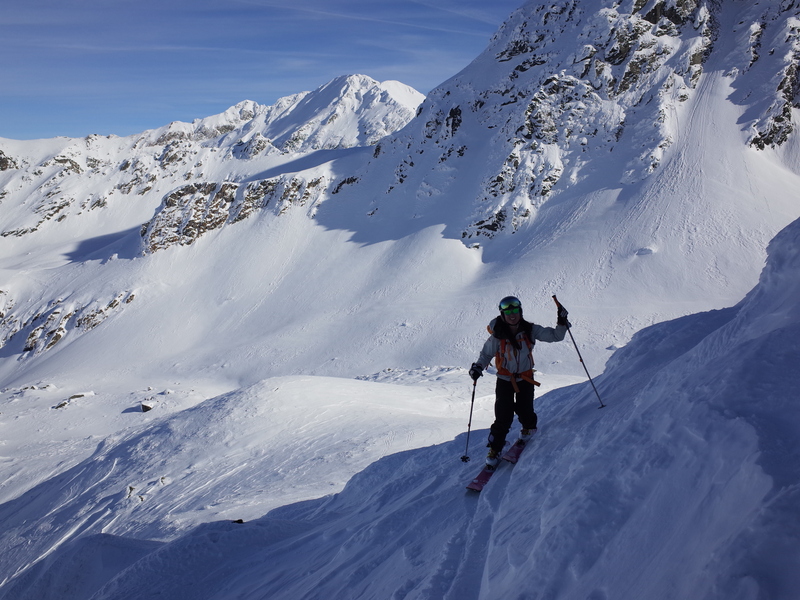 The skiing tours in this area varied and most of them are around 2000 m heigth. 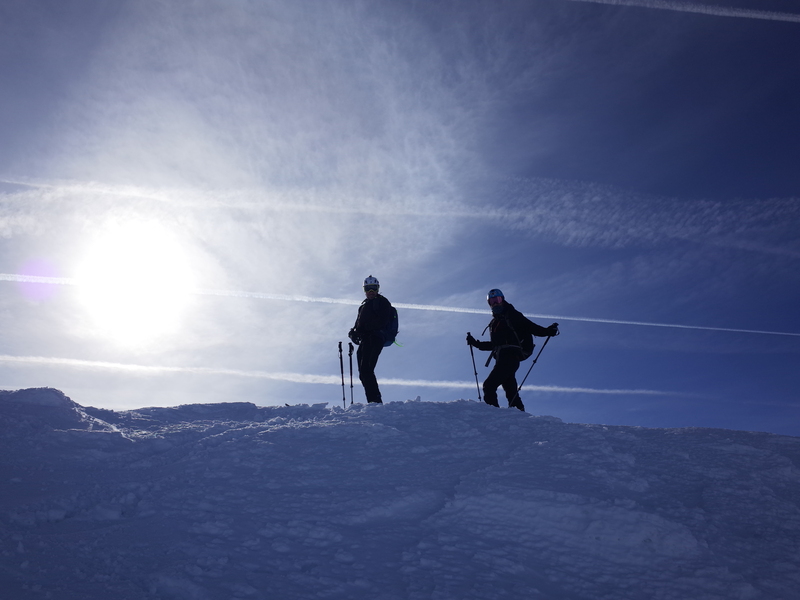 There are many peaks at around 2500 or 2400 m as well that can be climbed and skied. 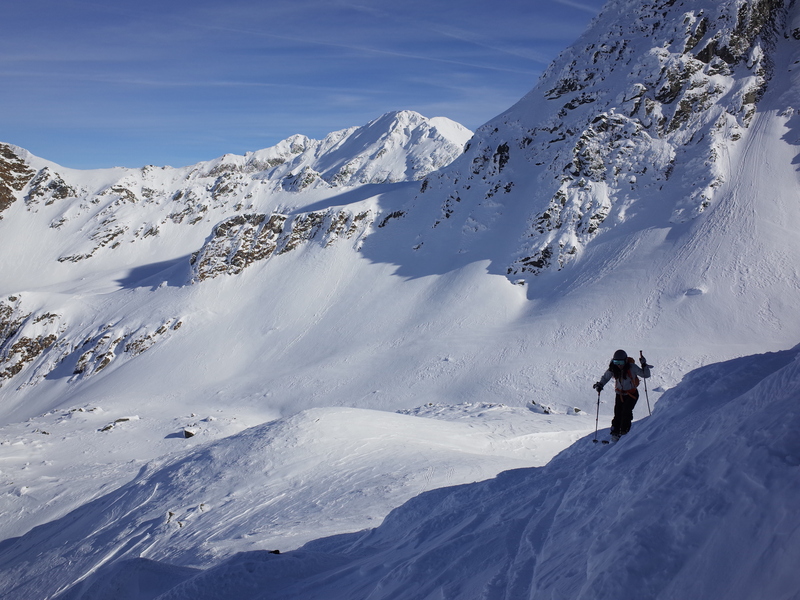 During these 3 days we will ski down some of the nicest slopes in the Balea Valley. 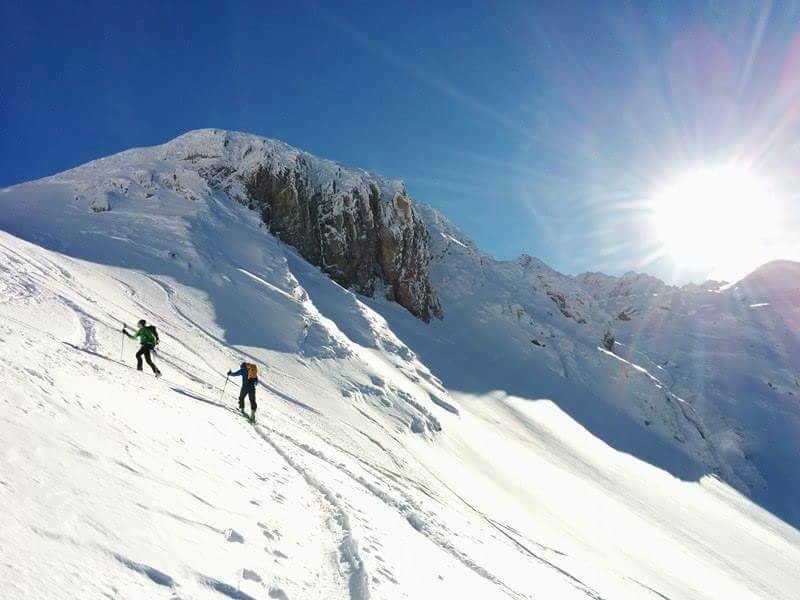 We will also climb some of the highest peaks around, like Capra Peak, Vaiuga Peak, Laita, Buteanu Peak and others, and enjoy spectacular descents. I will guide you on tours both on the south and north side of the main ridge of the Fagaras Mountains. You can also check the day by day itinerary below. 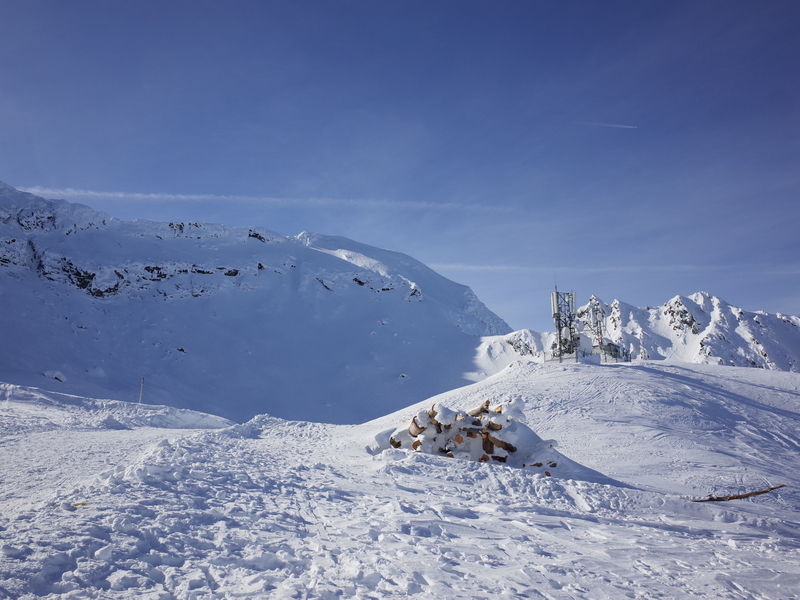 Please keep in mind that in order to join this tour you need to have a good ski level, able to ski on different type of snow. 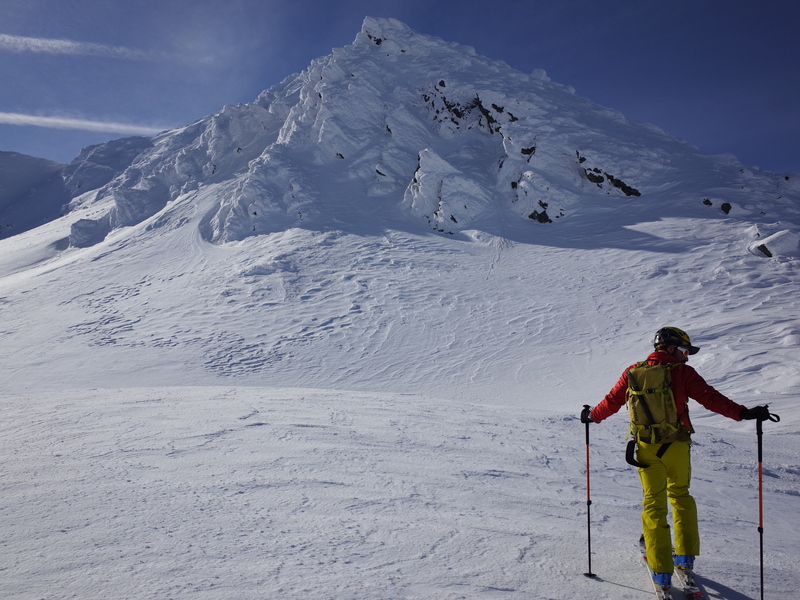 You also need to have a good physical condition for at least a 4-hour ski tour. 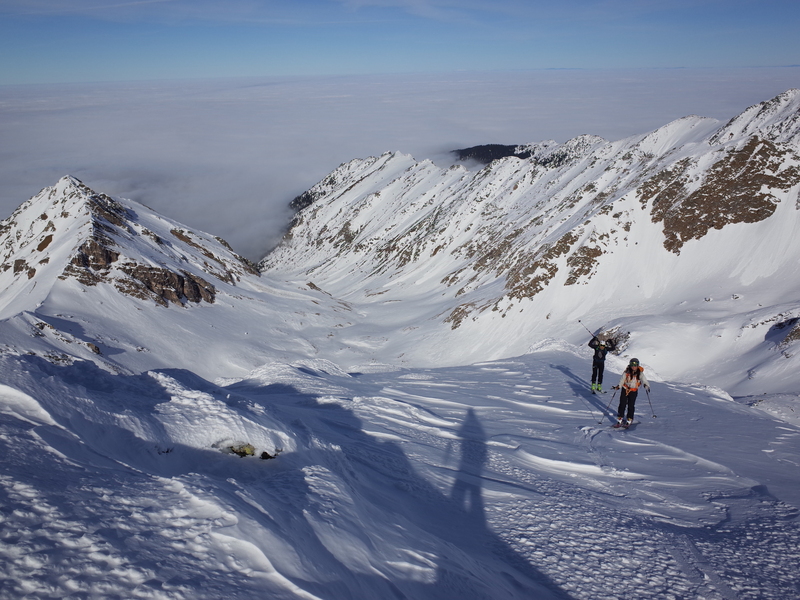 Are you interested in this great ski touring trip in Romania? Send me a request and book this program! I will be happy to take you around skiing in the mountains around my home. 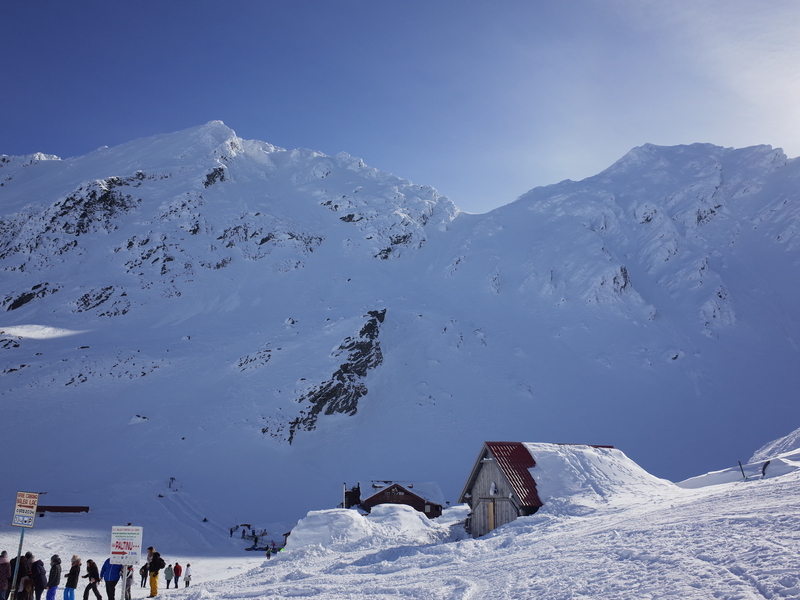 Not included in the price: accommodation, meals, lifts (for both clients and guide), gear rentals. I can give you more info about extra costs. Day 1: Balea Lake-Balea Valley-Doamnei Col.
Meeting with the guide at Balea Cascada in the cable car parking. 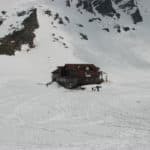 Take the lift to Balea Lake, check in at the hut. Briefing and gear check. Ski on Balea Valley and Doamnei Col. Climb to Doamnei Col and ski in Doamnei Valley. 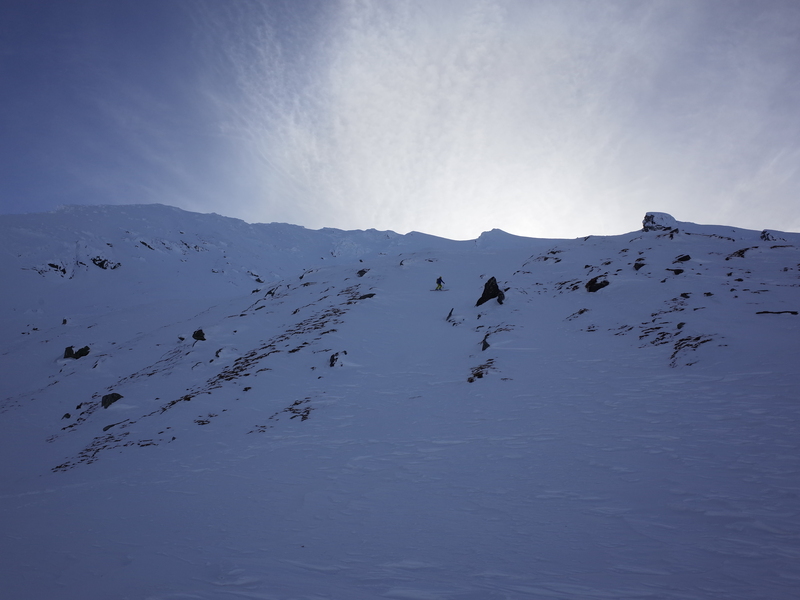 Climb to Laita Peak and ski in the “Rocky Valley”, then ski back down to Balea Lake and Hut. 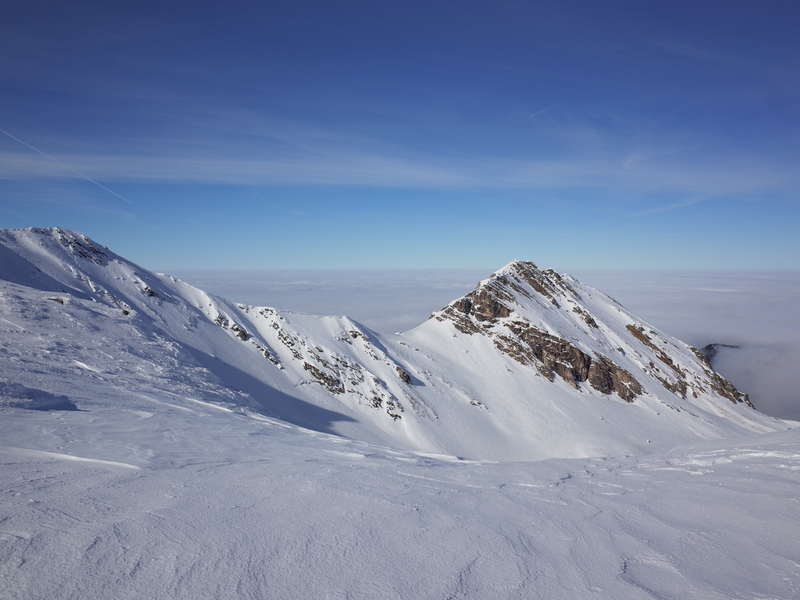 Climb to Capra Col and to Buteanu Peak (2509 m). 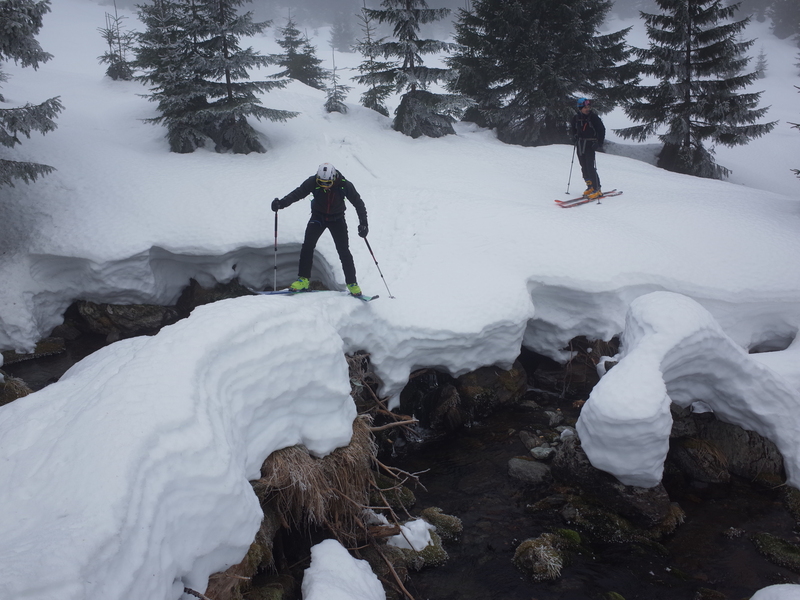 Ski down in Vaiuga Valley and get back up to Balea Lake. Pack luggage, check out and ski down to Balea Cascada to reach the car park. - First aid kit, sun cream, sun glasses and ski googles, water bottle. 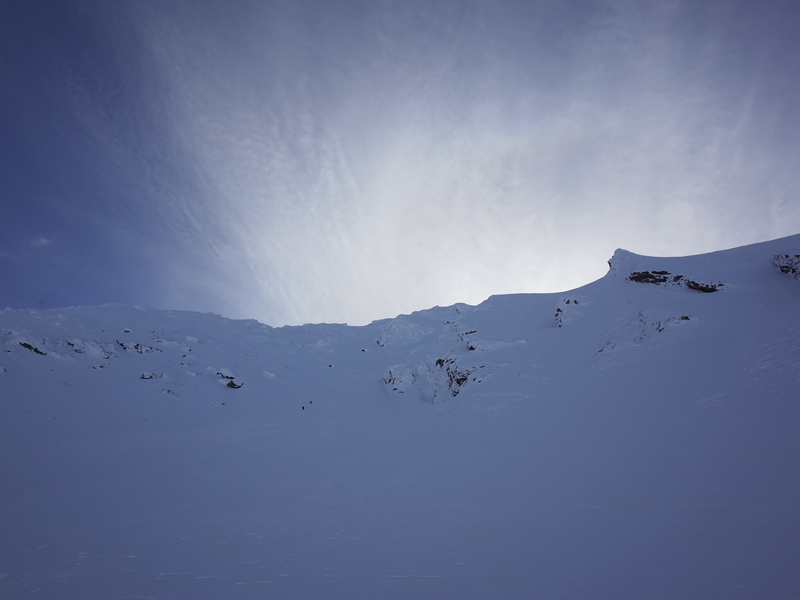 I’m an IFMGA mountain guide, a geographer and a passionate alpinist and climber. I started going in the mountains as a child, at first very close to my home, in the Romanian Carpathians. In these mountains I discovered the passion for outdoor activities and climbing. It was not long until I started discovering other mountains and their challenges and I began building a "mountain climbing lifestyle". I went in different expeditions around the world and I am always looking for interesting challenges in far away mountain ranges. As often as possible I spend my time in the Alps, training, climbing and enjoying life. 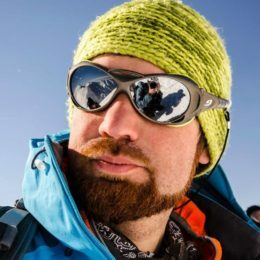 I became a national mountain guide in Romania in 2011. Since then, I love sharing my passion for the mountains and I enjoy taking clients to incredible places. I'm also a volunteer in educational activities to promote the values of authentic alpinism. I believe in self development and always getting better at what I do, so in 2015 I joined the IFMGA mountain guide training program at EEMGA (East European Mountain Guides Association) and became a fully certified IFMGA mountain guide in 2018. It will be my pleasure to guide you in any adventure in the mountains. good and evenings passed quickly meeting all different type of mountain people :-). 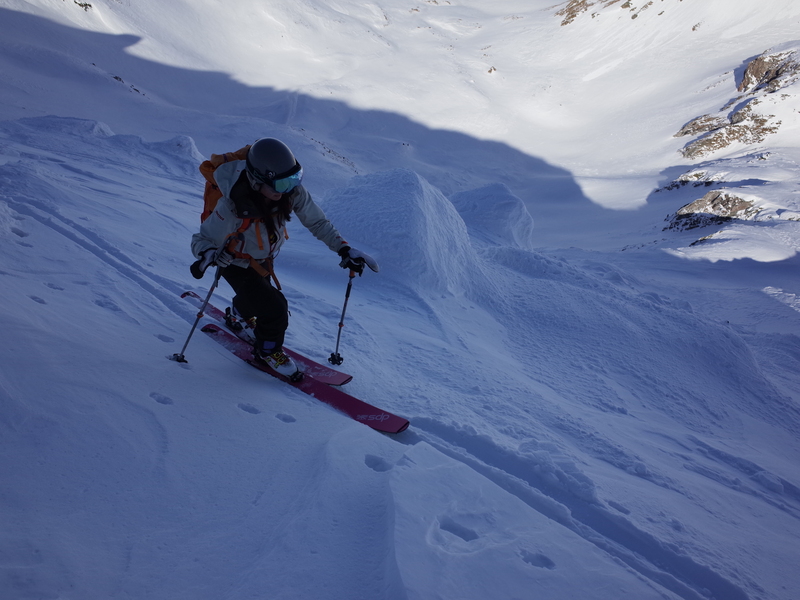 Skitours started from Paltinu Hotel (2034m) up to different mountain saddles (ca. 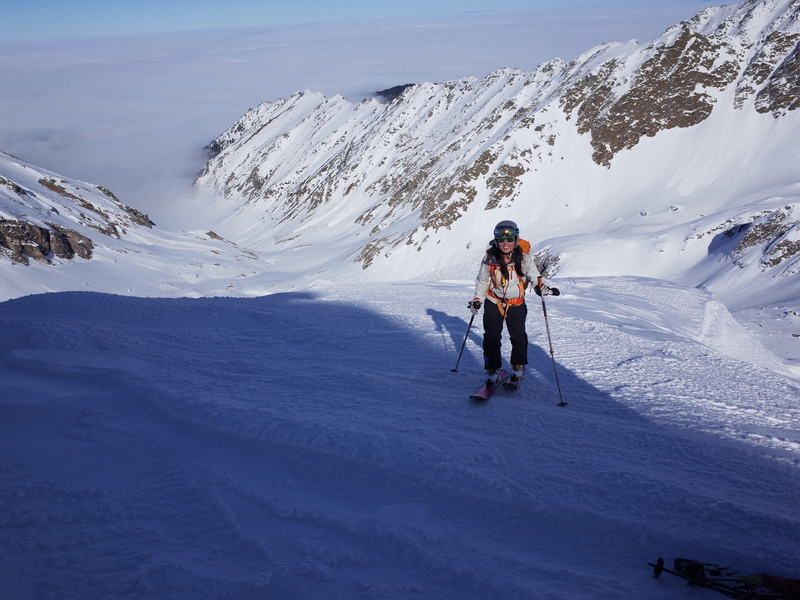 2300m) on skis. 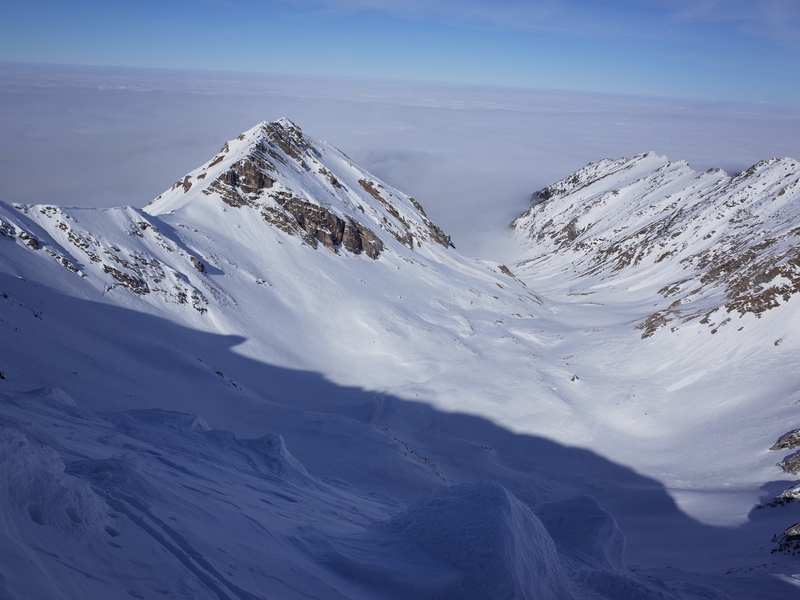 Going further to summits was possible but quite challenging as we had to climb in 1m of fresh snow carrying skis on the backpack. Nevertheless we had a lot of fun and Mihnea guided in all situations safely.